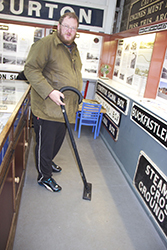 You may be interested in the story of the cleaning teams in the SDR Trust Museum at Buckfastleigh. 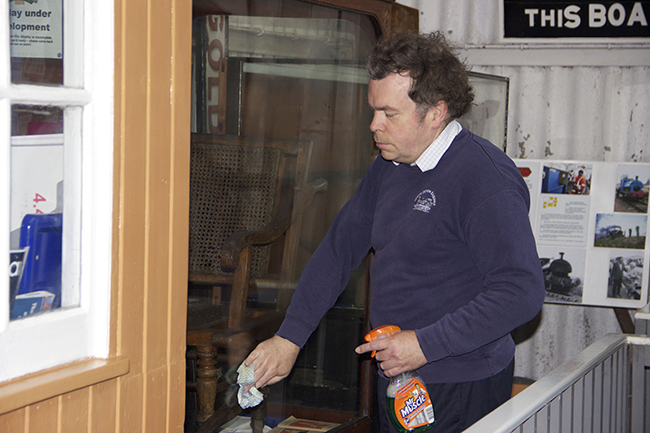 Every Wednesday throughout the season Mark, Simon and Jon-Paul come in to the museum on a Wednesday morning, long before the doors open to the general public, and do the essential but unglamorous job of cleaning. 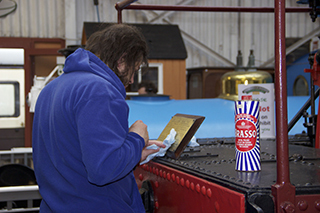 Between them the floor gets a thorough going-over with the vacuum cleaner, all the glass gets polished – this includes the museum’s vintage cigarette machine - and the brass and copper on Ashley's footplate get a shine. The handrails are all cleaned, the toy trains are spruced up and Tiny often gets attention as well. True to the railway tradition, of course, each session ends with a mug of tea!